I wonder if you’ve heard (as I have) that it’s impossible for an unknown author with a debut novel to get a traditional publishing contract. Those who say this imply that we shouldn’t bother with submitting to literary agents or traditional publishers, because we’re only setting ourselves up for rejection. I’m here to tell you that they’re wrong. It is possible, because I’ve done it with my Destiny’s Rebel, and others have too. I admit that it’s still very hard, but it’s not impossible. And I reckon that if I can do it, then there must be others who can get here too. I started writing fiction in 2009, and after trying my hand at a few short stories, I had an idea for a novel. So I sat down and wrote it, over the course of a couple of months. I didn’t know what I was doing, in terms of structure, characterisation or story arcs, but I felt it was a good story. I’d always enjoyed fantasy, so that’s what it was, set in my own imaginary world, and because my heroine was 17/18, I later learned that I’d written it for Teens/Young Adults. Without the help of an organisation like SCBWI to guide me, I started sending my first draft out to literary agents. Feel free to laugh, because I’m amazed now at my own stupidity and inexperience too. But among those first rejection letters, I had personal responses and encouragement, and only now do I realise how unusual that is. I submitted to literary agents (and a few publishers) over the course of three or four years. So my file of rejection letters is now 70 or 80 strong, but I persevered. Last year I heard a literary agent say that her agency takes on roughly one out of every ten thousand submissions. That means that our books need to be in the top 0.01% of submissions. But we’ve all heard of new authors who have “made it”, haven’t we? They hit the headlines with their six-figure advances, so why couldn’t that be us? At the same time as persevering with submissions for three or four years, I was learning in other directions too. I endeavoured to learn the craft of writing novels. Some go on courses, but I learned what I could from “how to” books and from joining writing groups. I also persevered with my own story. As soon as I learned new writing techniques (structure, style, plotting, character arcs, etc. ), I applied them to my draft novel. 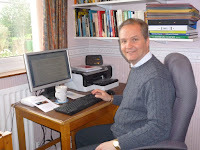 Although it may be the wrong way round – to write a novel, and then learn how to do it – I had something to work on as I learned. In 2013 a small traditional publisher (Books to Treasure) posted in a Facebook group that they were open for submissions. It turned out that they were looking for teenage fantasy. But my story still had to be good enough for them to risk putting their money behind it. I like to think that my years of perseverance paid off, because they sent me a contract. Needless to say, that has been the best experience of my writing career so far. My publishing editor (Adrianne Fitzpatrick) has taken the trouble to get to know my characters and my world, because they’d like to publish the ongoing series. The submission, acquisition and revision process has still taken a couple of years to get to a published book, but I feel it was well worth the wait. At any point I could have self-published, but all along I felt that my story could still be better. Yes, I’m a perfectionist, and still can’t claim that it’s perfect. But I also wanted to see if I could “make it” – to be a traditionally published author. I’d had sufficient encouragement along the way to keep me persevering. So what do I suggest to other novel-writers? First of all, of course, to make your book the best that you possibly can. But secondly, if you’re fed up with rejections from literary agents, then try smaller traditional publishers. There are still those who accept un-agented submissions, and they may not launch you into the Big Time, but they strike me as the best way into the traditionally published market. You need to check out that they’re genuinely “traditional”, or in other words that the deal doesn’t ask for any of the author’s money. It may be unfair, but it still seems to be the case that it’s being a traditionally published author that opens the doors to bookshops, schools, libraries, speaking engagements, and so on. So I wish you the very best of luck. Author of “Destiny’s Rebel”, published by Books to Treasure, September 2015. Well, I've read the book and I'm glad Philip persevered! It gives hope to us all, indeed. Congratulations Philip, well done for keeping going. An encouraging post, Philip. It gives me encouragement to keep on with my writing. I'm looking forward to reading your book. 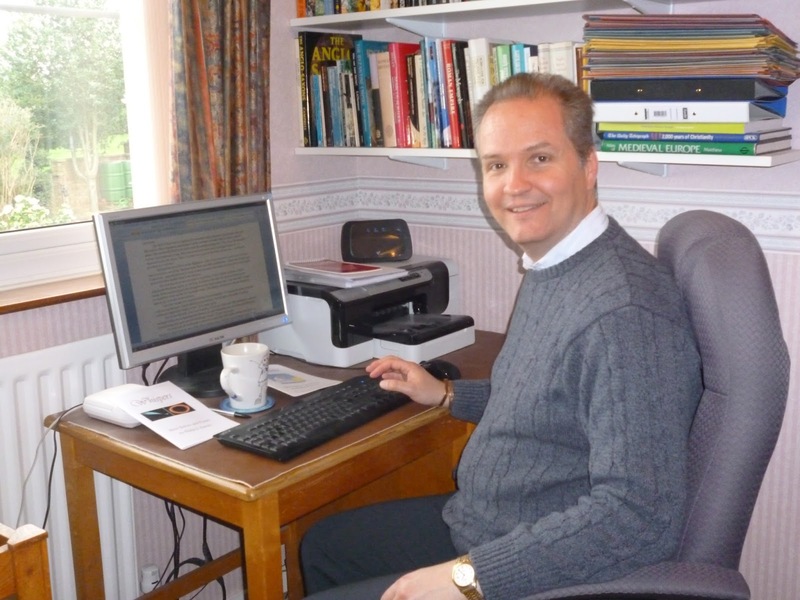 Well done, Philip - it's a great feeling to know that your novel is the best it could be!